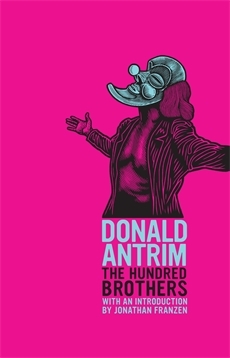 Should I admit that I was first attracted to The Hundred Brothers by its cover (particularly as it consists largely of a striking pink)? Its design is just one more reason to congratulate Granta on reprinting the American reprint, accompanied by its introduction from a more famous American writer, Jonathan Franzen. (The only way in which Granta has let us down is that they have given us Elect Mr Robinson for a Better World, but not the third novel in what Antrim has described as a trilogy, The Verificationist). 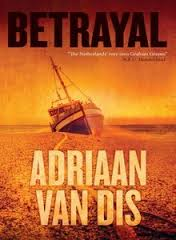 The latter was originally published in 2000 and remains Antrim’s last novel, though he authored a memoir, The Afterlife, in 2006. The ‘little departure from reality’ in The Hundred Brothers is the hundred brothers, gathered at their family home to search for the urn containing ashes of their father; it is the mother of all family gatherings. Antrim uses the intense atmosphere of the red library where they meet to explore masculinity in modern America. Violence simmers constantly beneath the surface, often bubbling into open confrontation. From the moment Max knocks over a table lamp and, in his efforts to clear away the fragments, careers into the eldest brother, Hiram, every movement is a potential collision, whether accidental or intentional. The novel is a series of set pieces, from Doug’s confrontation with Hiram over a bouquet to the family meal (“The first person I hit was Raymond”) to Doug’s mad dash through the history of English literature between the library stacks. Doug’s only solution to his family’s problems is mythic and, of course, violent. Having by that point been immersed in the family for a good couple of hours, the reader may sympathise. The Hundred Brothers is an unusual book that, I suspect, will not be to everyone’s taste, but I found it in equal parts amusing and terrifying. & Other Stories has received much (deserved) praise for its publication of literature in translation, but it should not be forgotten that two of its most successful novels were originally written in English. I have already covered the story behind the eventual publication of Helen Dewitt’s Lightning Rods; another writer whom & Other Stories have returned to the forefront of discerning reader’s minds is Deborah Levy. Her short-listing for the Booker Prize with Swimming Home has been followed by the appearance of a volume of short stories (Black Vodka) and an essay (Things I Don’t Want to Know). 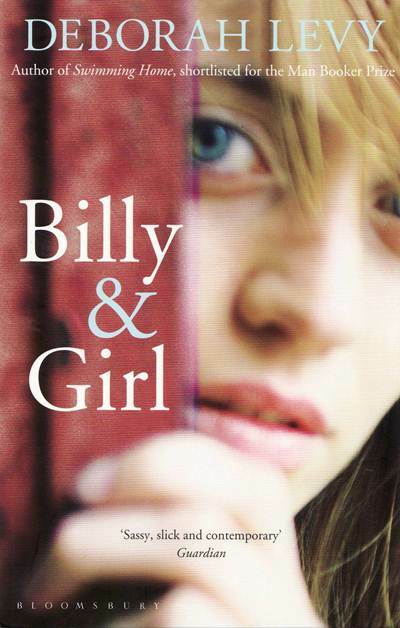 Yet, until Swimming Home appeared in 2011, Levy had not published a novel in the UK since Billy and Girl in 1996. The robbery does, however, lead to a chain of events that will unravel much of the mystery around their parents’ fate. Beautiful Mutants and Swallowing Geography (as Early Levy) and The Unloved are due to be republished next year. Is Giorgio Bassani undergoing something of a comeback? His most famous novel, The Garden of the Finzi-Continis, has largely remained in print, but Penguin released The Gold-Rimmed Spectacles last year and plan to publish The Smell of Hay in January 2014. Meanwhile Quartet’s 1992 edition of Behind the Door, translated by William Weaver, is still in print. Above all he finds himself friendless, a state of loneliness that is emphasised by his lack of a desk-mate. His closest friend from junior school has failed the entrance exam and left town to repeat the previous year elsewhere. He is relieved of the ‘desk of solitude’ when then teacher insists he sit next to Cattolica, an individual who would be described in today’s parlance as ‘popular’. The narrator is too shy to befriend him – friendship being a relationship that seems largely to consist of doing homework together in these more innocent times. His loneliness, however, is alleviated by the arrival of a new pupil, Luciano. Soon they are both desk-mates and homework buddies, Luciano becoming a daily visitor to the narrator’s house (but never vice versa – this unspoken arrangement suggesting an implied superiority). In the background, as with all Bassani’s work (behind another door so to speak) lies the Jewish persecution under fascism. The novel is set in Italy in 1930 and, although Luciano denies any anti-Semitism, the narrator’s Jewish identity is foregrounded by scenes such as a chance meeting with Cattolica in a church, or Luciano’s insistence that they compare penises. This adds a new dimension to the narrator’s failure to immediately challenge Luciano as Cattilca expects him to do. What at first appears a slight, if delightful, novel about growing up has, on reflection, considerable depth. You are currently browsing the 1streading's Blog blog archives for September, 2013.